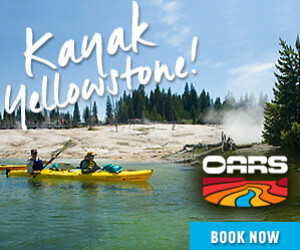 Yellowstone National Park offers unique sights and unusual geothermal features you can see nowhere else on planet Earth, making this the perfect vacation destination for the whole family. With Yellowstone Park stretching over 3,400 square miles, there are a lot of attractions to see, and it’s best to plan your trip carefully so you don’t miss a thing. This historic inn and the nearby Old Faithful Geyser are the most popular spots to visit within the park, where you can see the geyser’s impressive displays of steam and water shooting into the sky. To see a real-time shot of Old Faithful, you can get an idea of what you are in for when you visit in person. 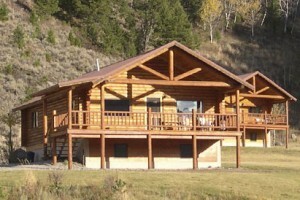 This rustic lodge is the newest in the park, and close to many fabulous sights. Winter fun here is never ending. Here you will see the terraces formed by the water, limestone and heat. These incredible landscapes shouldn’t be missed on your visit to Yellowstone. Check out the Mammoth Webcam to see a view of Mammoth Hot Springs from the Albright Visitor Center. View the oldest and most unpredictable thermal area in Yellowstone by touring this basin while in the park. Boating and fishing are the most popular activities here on the largest lake in Yellowstone, as well as enjoying the spectacular scenery. 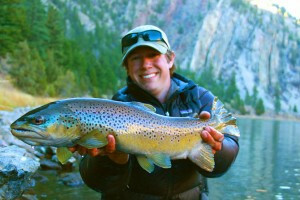 In the lakes and rivers, you’ll find exceptional trout fishing. Try Shoshone, Yellowstone and Lewis Lakes for some of the best lake fishing, and go to the Firehole, Yellowstone and Madison Rivers for huge cutthroat trout. As you tour the park on a snowmobile, you’ll get to see the natural wonders and the abundant wildlife up close on this true winter adventure. To make your winter vacation complete, you will have to experience the fabulous snowcoach tours. From the comfort of your warm seat, you will get to experience the sights of the park, and also learn a lot from the knowledgeable driver. Winters in Yellowstone are cold, no doubt about it. But you can enjoy the park when the crowds leave by bundling up warmly and always checking the weather forecasts before coming. Outdoor activities are most exciting, from snowmobiling to cross-country skiing. Yellowstone National Park is home to one of the world’s largest and most violent volcanoes. This is the site of those incredible volcanic features that show aboveground, such as the geysers, hot springs and mudpots. Guide to Glacier National Park and the Flathead Lake region of Montana. 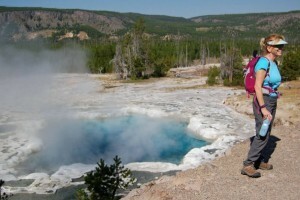 Visit our travel guide for Yellowstone National Park. Make Bozeman your basecamp for visiting Yellowstone.